I am not usually good at remembering anniversaries, or rather I am, but just not on the relevant days. I tend to recall them some time after the event. 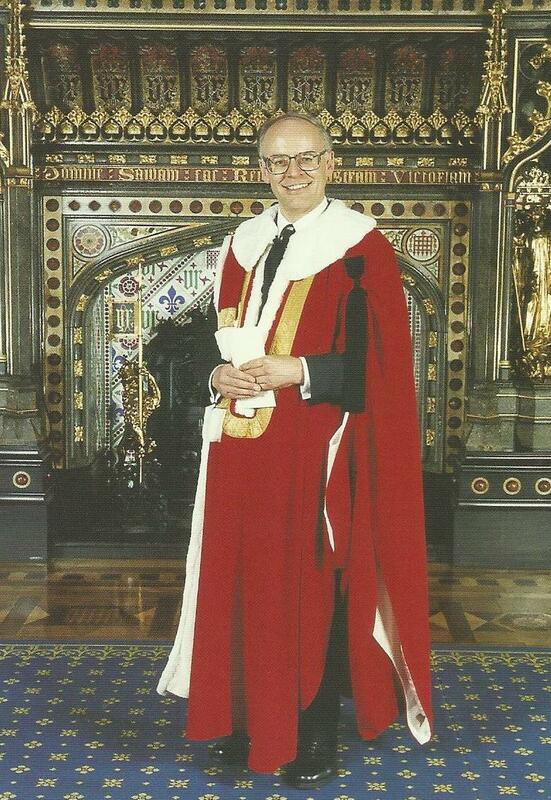 This year marks the 20th anniversary of me receiving my peerage. The title took effect on 1 August 1998 and I was introduced into the House of Lords on 6 October. I normally remember the 1 August anniversary sometime in mid-August, but this year I may be a little more on the ball, though I have no plans to do anything special. Perhaps an extra pot of tea – or several. I am easily pleased. However, somewhat unusually, I have remembered that today is twenty years to the day since I received the ‘phone call out of the blue sounding me out as to whether I would be willing to accept a peerage. Some years ago I did a short blog about the event. It was certainly unexpected. I was sat in my office and the ‘phone rang… Twenty years have certainly flown by. Link | This entry was posted in Uncategorized and tagged peerage. Bookmark the permalink. This timeline certainly explains why my dissertation got such a low mark. You would have been marking it during that 3 month period when you had to keep the secret. You were understandably distracted. Then again, imagine what it might have been had I not been in a good mood! If I’m honest, and take this in the spirit its meant, I’m not sure why they offered you the post. On the face of it you could ‘fit’ into the XBs of the house and very many appointments of a professionally similar background have been made there both pre/post your appointment. While I don’t read all your speeches, who has the time, I’ve never read one which struck me as ‘partisan’ – more like edited down lectures that could have been delivered to your students. Nor does the C-party seemed to have made much use of your expertise in inviting you to produce policy proposals. Perhaps it reflects an older politics where you appointed people who you thought might be useful without an other expectations…that or they had a fit of whimsy! I think the fact that I have been active in the Conservative Party since I was about 12, and held national office while still in my teens, may be relevant, but I am aware that there is a view that I treat membership of the House as an extension of my teaching, and with some reason – I see my role as to educate. Congratulations Lord Norton. You have not wasted the time nor the opportunities. I found this an interesting revelation. It raises many questions. Mostly of a personal nature. So, here is one I have often considered when watching the Lords convene in robes. What was the first feeling you had when that phone rang? Was it fear of how you would be able to rise to the expectations and if not, what then? Or, was it overwhelming sentiments of gratitude in acknowledgement of your obvious usefulness the State felt you may have? Perhaps something more interesting? How did it feel? It must have been satisfying as you have written it gave you feelings of content, putting you in a good enough mood to give Dean B a pass. Albeit not to his expectational level. I, similarly, forget an anniversary until a day or so later. Even though I have it in my diary. Somehow I manage to skim over the prompt, even when I add three stars to it. Regardless, congratulations. How hard you work for this democracy you obviously hold so dear. Many thanks. I didn’t really have any feeling when the ‘phone rang, as I wasn’t expecting the call and had no forewarning. There was a big difference when the call ended! I spent some time letting it sink in. I was aware it was a fantastic honour and opportunity and would make a massive change to my life, but equally clear it would be in addition to my teaching. I told myself that whatever it took to balance parliamentary and academic work, I would do it. I suppose I had one advantage in that I had spent my life studying Parliament, so likely had a better awareness of what it would entail than would be the case with others offered peerages. It certainly helped when it can to the induction process. (When Black Rod was preparing to play me a video showing the ceremony of introduction, he thought for a moment and said ‘Oh, you know all this’ and promptly fast-forwarded the tape!) At a practical level, it helped also that I co-owned a flat in London and that, by chance rather than design, it was within walking distance of Westminster. The biggest challenge following the call was keeping the news to myself until made public, which meant – given the delay in the announcement – was quite a burden. LN: I really appreciate your kindness in taking the time to give a full response. It means more as I know you are so pushed for time. Thank you. Of course it opens the door to at least fifty more questions. Croft having landed on the ‘office since teenage years.’ How indeed? Aside from all the curiosity, it feels comforting having gained some insight into the man behind this screen, filled with all the knowledge I want, yet, so distant in spirit. Perhaps a bio in the offing? Off-Topic: LN – how much ribbing is Lord Keen getting? Not sure how many colleagues have seen the tape of his reaction having knocked over the water. I wasn’t in the chamber when it happened, but I have seen it – difficult not to, given how much it has been reproduced – and must admit I couldn’t stop laughing. LN: I have a gut feeling you grossly underestimate how your life would not only excite many people should you reveal all, but, historically, throw much light on the workings of great politicians minds. You could always leave it to posterity and demand it not be published for x amount of years, if you want to protect those living. It is always a great disappointment when reading biographies, that so much goes unknown behind the scenes. Of course, you can read between the lines, however, that gives little insight in the real world. You underestimate your ability to enlighten us.